To build a strong brand, aesthetic practitioners and clinics need to differentiate themselves from the competition by offering a more appealing value proposition through enhancing their brand sentiment. But this does not happen overnight. A brand and its ability to influence consumer behavior is based more upon the customer experience than the marketing and promotional activities behind it. 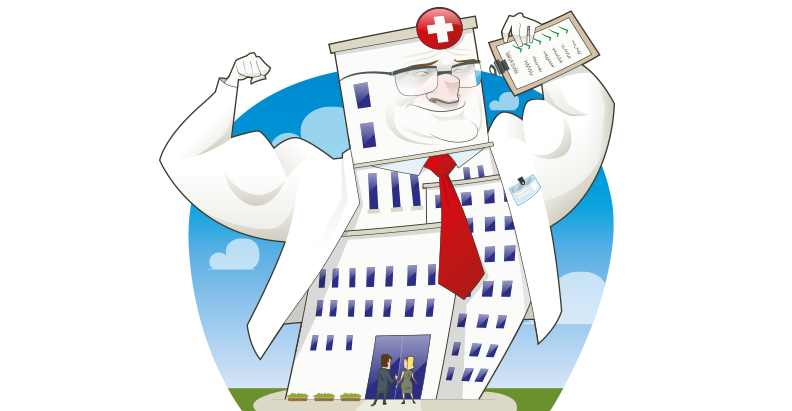 If your clinic offers the same treatments and service as every other clinic, you are probably not in a position to be able to compete on the basis of branding alone. To differentiate your clinic, you need to offer something that not everyone else can offer: a unique product, outstanding results, and/or personalized service. Your brand is not just about the products; it’s also about the people. People cannot be duplicated. Customer loyalty and a growing customer base won’t emerge from branding exercises alone. It has to evolve from the quality of the care provided and the total customer experience. This doesn’t mean that you don’t need a memorable name, attractive logo and color scheme, and modern clinic design. However, these are also keys to success in the business of aesthetic medicine. Your brand determines your competitive advantage and it is a vital asset that should be protected at all costs. It exemplifies your reputation among patients, colleagues, and influencers. The brand name association is also important. What does your brand stand for? What you think it stands for may unfortunately not be exactly what your customers think. 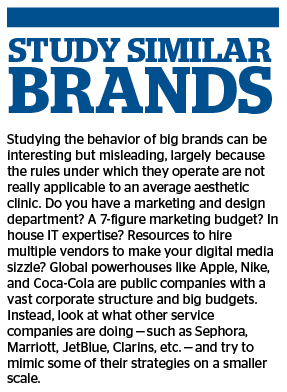 Blanding refers to a brand that has lost its way and is confused as to what it stands for. You cannot be all things to all people. It is about the words and themes you use to convey your brand identity. For example, a brand promoted as a high-end luxurious place that offers generic products and discounted prices is sending an inconsistent and contradictory message. Similarly, promoting your practice as offering 5-star pampering service, yet greeting patients at a busy reception desk, with a noisy waiting room, does not convey that imagery. By building brand equity, you can distinguish your aesthetics clinic from all the others in the market that offer similar services. Branding is about more than just putting up a sign, the design, and colours of your logo or the facility and location. It is about who you are as a practitioner, the reputation you have earned among your patients, your core competencies and the service culture your clinic offers. 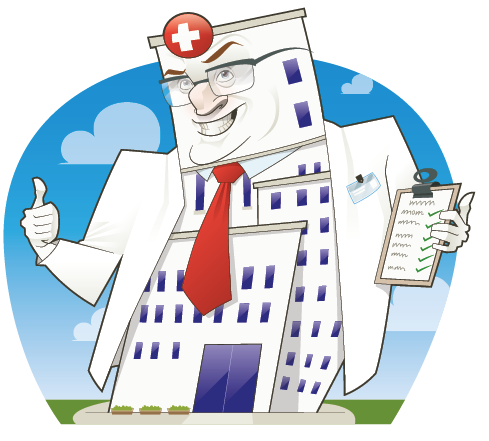 The value proposition or unique selling point is what sets your clinic apart from the clinic across the road or the chain of clinics springing up within your post code. This encompasses your strengths and unique training, high quality of care, specialisation in a particular treatment category, convenience and comfort of location, or a one-stop shopping experience. Your unique selling point is a combination of factors that you can point to as making your clinic better or at least different than all of the others. It is that point of differentiation that will enable you to rise above your competition. Sophisticated consumers tend to seek providers that offer a difference that resonates in terms of value, prestige, and service. Establish a fundamental platform of key messages about what you do differently or better and what makes your clinic ideally suited for your target audience’s needs. Survey what your competitors are doing and determine what you offer that is superior. Always aim to step up your game to stand out. Your brand depends on what comes to mind when patients and clients think about your clinic as a result of the total impressions made by encounters with your brand name, tagline, logo, website, marketing, adverts, and everything else that people see and hear about your clinic. Even the most basic things like signage at the clinic entrance contributes to how your brand is perceived. Every time someone walks past your clinic, sees a Google ad, encounters a staff member, or reads about you in the media, they form a lasting impression about your clinic. Looking at your clinic through patients’ eyes will help you define your brand. Align every service and treatment you offer with what it actually delivers. If this does not line up, there is a gap that needs immediate attention. For example, if you’re promoting a body shaping treatment that you are calling, ‘Lunchtime Lipo,’ and the patient winces in pain and leaves with bruising and soreness that prevents her from going back to work for a few days, the trust factor of your clinic brand will suffer. A strong effort to grow visibility and differentiate your brand from the others against an intensely competitive backdrop is a vital strategy for success. Digital marketing, including SEO/PPC and social media, should be fully integrated with your clinic’s brand identity and messaging. Your online brand requires 24/7 attention to maintain its position in the market. Once you have earned the trust of patients, colleagues and the media, keeping these relationships strong is an important component of a clinic marketing strategy. Effective management of an online brand identity across the Web — where false information thrives and trust is a hard-won commodity — requires a strategy based on market research, time, patience, creativity, knowledge of search engine marketing tools and techniques, a modicum of technological competencies, and vigilance. A key component of branding is to determine your positioning in the marketplace. Decide if you want your clinic to be high volume and low cost, or low volume and premium pricing. The former requires a fairly substantial expenditure on marketing to keep a steady stream of new patients coming in, whereas the latter may be best accomplished by investing in public relations activities and forming referral relationships with like-minded practitioners of other specialties. The safe zone is to be somewhere in the middle; average volume and about average pricing. Price is just a dollar amount, but value is the relative worth or desirability of a product or service to the end-user. Competing on price is always a losing proposition; someone will always be willing to offer the same or similar service or product for a lower profit. Find out what other clinics are charging in your local community for the same or similar treatments. Try to establish a belief among your patients that they are receiving good value from your practice. Instead of cutting prices and thereby reducing profits, offer more in terms of services, convenience, after care, and pampering. Some patients will respond to your brand so favourably that they may be willing to pay more for the same services just because of the feeling your brand conveys over all of the others. Without the benefits of an emotional connection and high touch experience, a ‘brand’ is just another business entity trying to sell its products and services. Brands need to resonate, engage, and connect with customers to earn their loyalty. Many companies rebrand and change their corporate identities along the way, but it takes good planning and a sufficient marketing budget to implement. Rebranding is about changing your look on the outside to reflect a new and improved identity. This process is more intensive than just changing a logo or company colors and updating your clinic website. A true ‘rebrand’ is exemplified by an updated visual appearance which, in turn, has the ability to change peoples’ perceptions of your brand. 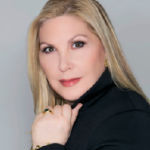 When your brand starts blending in with every other aesthetic clinic, it may be an ideal time to redefine the brand promise to differentiate your offering from all the competition. Change can be good, if you are willing to take some risks. The goal of rebranding is to rekindle excitement to attract more customers. But it isn’t just about the new logo; rebranding also has to do with a new brand promise, and an increased or changing offering of brand assets. 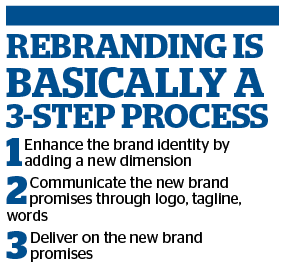 Certainly, the face of a rebrand is a new logo, but that is not the place to start. Your logo should stand for something. Rebranding is not just about the new look; it is primarily about redefining your brand promise, which is then symbolized by a new look. 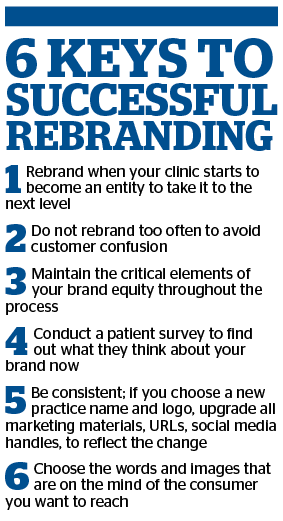 The core of the practice stays the same, but rebranding should attract customers’ attention so they will take a fresh look at your redefined offerings. Think of it as out with the old and in with the new. But you must make a long-term commitment to stick to a plan to keep stay on brand once you make that change. Before you design a new logo, think about what it should stand for; what are the essential elements that make up your brand and that you want to convey? Then, communicate these factors through a refreshed logo, updated font, and visually appealing colors. For example, going from a busy logo with multiple fonts including cursive, and more than two colors, to a simple, clean logo can demonstrate that your clinic is modernizing. You can use a new logo to communicate with clients and patients who you are by designing a sophisticated, pristine image. Brands that convey their positioning with simplistic design can build an emotional connection with customers. It also makes your brand message easier to market and promote if it is clean and consistent. If you offer the same ten or so services and treatments week after week, year after year, your practice can start to get stagnant. Rebranding is a useful tactic to enhance your clinic brand so that it stands out from all the other clinics in the market offering the same or similar services and products. For example, you may decide to incorporate women’s heath into the service offering in an aesthetic clinic that was previously focused on skin treatments and products. This change may necessitate a rebranding process to be more female-focused and expand the patients they may want to attract to this new treatment category. Another example may be if the practice loses or adds a new partner or incorporates medical spa services or a body shaping component to a practice that was primarily offering facial procedures. Choose imagery, words, phrases to convey your message effectively and clearly, so there is no brand confusion. For instance, going from ‘Northern Indiana Plastic Surgery, LLC’ to ‘Aesthetic Surgery & MedSpa of Northern Indiana’ has a very different feel. Now add a tagline as a descriptor, such as, ‘Where Beauty & Wellness Converge.’ The next step would be to create a new logo that reflects this new positioning with a browser-friendly font and modern design. A rebrand can be disruptive enough to catch renewed attention and reinvigorate your target audience. It can transform the core of your practice into much more than just a place to get lips injected, brown spots lasered off, or a flatter tummy. It can be transformed into a whole new brand experience for your patients and clients. Add something extra to your brand by improving the offerings that already exist to take them to the next level, and adding some new ones. Then, communicate it in a big way to make the brand feel fresh and restore some life to it. Lastly, you need to make sure that you can live up to those new brand promises of personalized service, advanced technologies, pampering environment, caring staff, superior results, etc. Whatever route you take, always stay true to your brand.